To apply for any of the Leisure for all cards described below, download and print off the appropriate application form, fill it in and hand it into your local South Lanarkshire Leisure Centre. Hard copies of these forms are also available at your local South Lanarkshire Leisure and Culture Centre. If you claim benefits, you and your family could get up to 50% off swimming, fitness classes, gym use, children's activities, golf and much more with our Concession Card! For more details, download a Concession Card Application Form. Over 16, still at school, and don't qualify for Junior prices anymore? You can still get up to 50% off swimming, fitness classes, gym use, racquet sports, golf, and much more with a South Lanarkshire Leisure Scholars Card. For more details, download a Scholars Card Application Form. 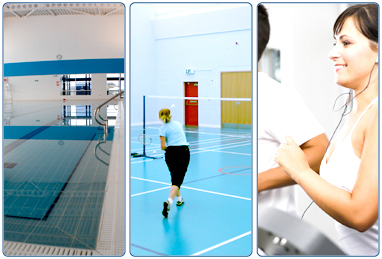 Our Student Card offers up to 50% off swimming, fitness classes, gym use, racquet sports, golf and much more. For more details, download a Student Card Application Form. If you are a talented sports person, and live in South Lanarkshire, you can use many of our sports facilities completely free with a Gold Card! For more details, download a Gold Card Application Form. Activage is available to South Lanarkshire residents over the age of 60. Click here for more information.